Have Dry Winter Skin? 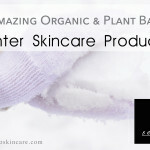 Looking For Winter Skincare Products? SERVELLO Has The List For You! 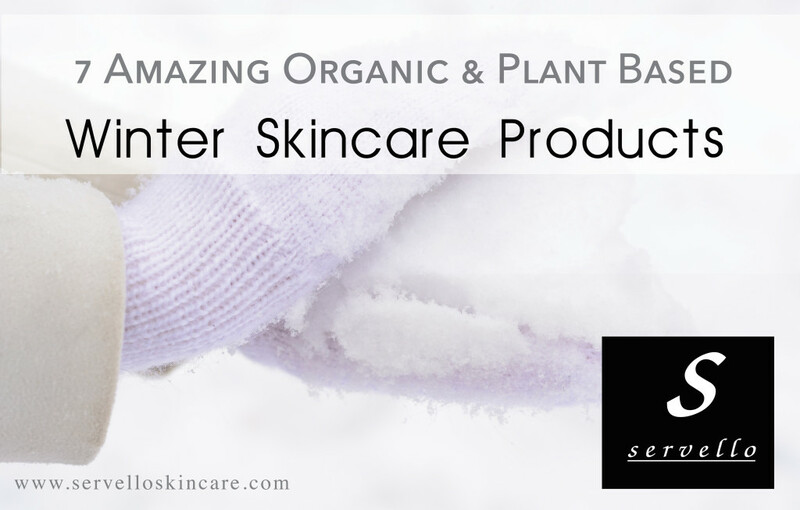 Below we have listed 7 amazing organic & plant based winter skincare products from the servello skincare line to help combat your dry winter skin! And 7 essential winter skincare tips to try, also. Cold winter air holds less moisture making it the driest time of year for your skin. Pair that naturally dry air with cold strong winds and indoor heating, and the result is often dry, irritated, cracked skin. We have just the winter skincare products to keep your skin healthy and moisturized during the cold & dry winter months! This gentle moisturizing exfoliator is a must for your winter skincare routine! It uses spherically round natural Jojoba beads to gently exfoliate dead skin cells to reveal fresh, smooth, supple skin. The roundness of the jojoba beads make sure that there are no microscopic tears caused to the skin, which then allows the light to reflect off the skin evenly, revealing a beautiful fresh natural glow. Rosehip seed oil is great for dry and/or damaged skin, is high in Vitamin A, promotes elasticity and firmness, and helps rebuild skin tissue. Geranium essential oil helps with broken capillaries, congested skin, poor circulation, and regulates sebum flow. With a base of organic Jojoba Oil and Rosehip Seed oil for deep, balancing moisturization, this is An excellent anti-aging face serum incorporating cytophylactic essential oils and pumpkin seed peptides to help renew skin through cell regeneration, smooth the appearance of fine lines and wrinkles, increase firmness and elasticity & improve the skin’s vitality and tone. It may also be useful in preventing and healing the appearance of stretch marks. Pumpkin offers many benefits to the skin! It decreases oxidation & free radical stress in the skin. It is extraordinarily effective for dull, sluggish skin as it stimulates circulation, promotes healing, and provides vitamin nutrition leaving skin glowing & healthy looking. If this isn’t enough, it further helps to restore elasticity while allowing ingredients to better penetrate the skin! A winter skincare favorite! With a base of organic unrefined Shea Butter and Evening Primrose oil, this scent-free face cream is great for providing that much needed barrier against the cold winter elements, as well as keeping the skin moisturized with less water evaporation. Evening Primrose Oil is rich in gamma linoleic acids, Essential Fatty Acid, something our bodies need to maintain healthy cells and body functions. EFA’s also help keep the skin hydrated. Evening Primrose oil has anti-inflammatory and anti oxidant properties, and has been known to improve skin elasticity and combat infection. It has been shown to be effective against Acne, Rosacea, signs of aging, Eczema, and skin ulcers. Excellent for dry, mature skin and anyone experiencing eczema, redness, dry scaly blotches. This all-natural sea salt body scrub gently and naturally exfoliates dry dead winter skin, locks in moisturize, and stimulates the entire body! Made with rich organic plant oils packed with vitamins and essential fatty acids to lock in moisture. Sea salts naturally and gently exfoliate and draw out toxins. Different essential oil blends are created for their specific skin properties. Use this exfoliating body scrub in the shower, after you cleanse, once or twice a week and you will never know it is winter out their! Sore Muscle Relief. Soothe Tired muscles and melt away aches & pains! Citrus Bergamot. Brighten your mood with crisp clean bergamot & lime! The Caffeinated. Tone & Tighten skin while you rub away toxins and fluid build up that are known to cause cellulite. Natural Nourish. Nourish your skin the natural way with this unscented massage bar! Vanilla Chai. Celebrate the season with warming vanilla and chai spice. Rock Stars. Shimmer & Shine like the Rock Star you are! These little pink hued stars are loaded with just the right amount of shimmer & shine and scented with sensous Ylang Ylang to make you feel like a Rock Star! Great for dry cracked hands in the harsh winter weather! A perfect non-greasy healing hand balm for men, women, and children! This butter has anti-fungal & anti-bacterial properties, as well as increases circulation and eases muscle aches and pains. Massage into feet as the last step of your healthy feet regimen. Place a small amount of product in your palms, gently rub together to melt slightly. Then massage into feet, ankles and calf. Pair with Moisture Socks for the ultimate over night foot experience. Exfoliate regularly to remove dry flaky skin so that the skin is better able to absorb moisture and nutrients. Hydrate your skin with nutrient rich serums. Moisturize with a thicker moisturized to create a barrier to keep moisture in the skin and cold air out. Use a humidifier when you sleep. Refrain from overly hot showers and baths. Wear gloves to protect the hands from cold and wet weather. Does my skin need Vitamin C ?